Umbilical cord blood is the blood that circulates in the embryo via the placenta and umbilical cord. During delivery, the blood remaining in the umbilical cord and placenta is rich in stem cells (HSC). 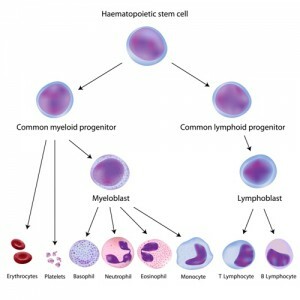 Why cord blood is a major source of stem cells? Experimentally there is the opportunity of proliferation of these cells. What makes these cells so special? They are undifferentiated, they may under specific conditions to differentiate into more specialized cell types and have longer telomeres than other cell types. The cryopreservation of stem cells from umbilical cord somehow stops their biological clock and protects them from damage that due to various causes, such as aging, viral infections, as well as the environment itself (radiation, environmental pollution, etc).